YOU have taken the trouble to have your messenger bring ninety pieces of rice cake and fifty yams from Ueno Village in Fuji District of Suruga Province, to this cave on Mount Minobu in the village of Hakiri in Kai Province at the hour of the sheep [1:00–3:00 p.m.] on the third day of the New Year. Realization of Virtue in the latter age of Joy Increasing Buddha. The ruler detests me and the people hate me. My clothing is thin and food scarce. Padded cotton clothing seems like brocade, and greens I think of as sweet dew. SGI: Twelve dollars initial down payment for an SGI no-Honzon and then a comprehensive SGI Sustaining Contribution plan followed by Planned Giving [stealing of your children's estate]. Stock transfers and real estate preferred. MY New Year’s greeting is somewhat late. Though my acquaintance with the deceased Nanjō was not of long duration, he became dear to me in the course of the various situations that brought us together. And so I held him in high esteem, but he passed away while he was yet in the prime of life. Grieved at having been parted from him, I made the trip all the way down from Kamakura and paid a visit to his grave. Since then, I had thought that I would stop by again on my next trip to Suruga, but this time, because I made my way here without anyone knowing it, I avoided informing even the lay priest of Nishiyama,1 and it has been troubling me that I was powerless to do more than simply pass by. In order to fulfill my wish, I have sent my disciple with the intention that he visit you during the first month and recite the verse portion of the “Life Span” chapter in one scroll at the grave. I have lamented that I possessed not even a memento of your father, but it is a comfort to me that he has left you behind. Your late father rests beneath the trees and below the grasses, where not a soul passes by, nor can he listen to the Buddha’s teachings. How lonesome he must be! Thinking on this, I cannot restrain my tears. When you go together with the practitioner of the Lotus Sutra to visit his grave, how happy he will be. How happy he will be! We are all Buddhas, neh? Tientai's method is based on contemplative insight. Kanjin in Nichiren's Lotus Sutra Buddhism is observing the mind through chanting Namu Myoho renge kyo to the Gohonzon. The Nichiren mandala is the written words of the Buddha. We read the Sutra through the eyes of faith in the words of the Buddha and Nichiren Daishonin, not through the words and conceptions that derive from our mind. "Only Shakyamuni Buddha has these three attributes concurrently"
The SGI convicts itself of fifty years of slander by association. If the transgressions now alleged by the SGI against the Nichiren Shoshu are true [and there is no reason to doubt it], we have to conclude that the SGI is equally guilty by virtue of not merely ignoring the serious slander but of covering it up through lies and misrepresentations for fifty years. Thus, if the SGI's present attacks on the Nichiren Shoshu are true, the SGI convicts itself of fifty years of slander by association. "I always found this type of thinking oppressive, and am glad to be away from it." who is well qualified to receive the brown nose of the month award. variance with its actual beliefs. that which is erroneous and spread the True Law'"
Jim with "hope and determination," as he later states in his article. Namu is devotion. Nichiren Buddhists devote themselves to Myoho renge kyo. They devote themselves to the Lotus Sutra, to the Law. Soka Gakkai pseudo-Buddhists practice Ikedaism. They devote themselves to Daisaku Ikeda. SGI member Kitt: If your faith is pure...it wouldn't matter what the piece of paper is inside the Butsudan. As long as you continue to chant with a heart that is pure and a seeking spirit ,you will continue to enlighten your life. Mark: This is a common delusion of those who do not have a correct object of worship. However, for arguments sake, let's say this is true, at least until the practitioner becomes aware of the truth. At the stage of practice (not yet aware of the truth) your faith may remain pure regardless of the object of worship, even believing that Nichiren Daishonin is the Original Eternal Buddha. The moment that you are made aware of the truth through the Lotus Sutra, the writings of Nichiren Daishonin, or through a friend [the moment that you learn the truth that the object of worship is not a representation of Nichiren Daishonin but rather the Master of Teachings Lord Shakyamuni of the Original Doctrine], should you persist in your mistaken belief, it then becomes impossible to maintain a pure faith by the principle of "two differing thoughts". So yes, until you know the truth, you may continue to accrue merit and virtue (benefit) even with a mistaken belief or a mistaken object of worship but once you know the truth, if you persist in embracing a lie, your merits and virtue will wither and die. Supreme Leader, Daisaku Ikeda, Kim Jong-un, or Shakyamuni Buddha? The nature of the Gohonzon is the spirit of the Original Buddha Shakyamuni to save all beings equally. The entity is Namu Myoho renge kyo. That really is a hoot! Do you know anything about Nichiro, his crushed and paralyzed hand thanks to the oarsman taking Nichiren to Izu, his imprisonement and subsequent escape to see Nichiren on Sado, his writings and his yeomen-like propagation efforts in China and Siberia? Now go admonish your leaders who only gave you a partial and distorted view of the Nichiren faith and its history. Soka Gakkai members do far more than tread on Shakyamuni Buddha with their feet. If SGI members were true environmentalists, why didn't they rebuke SGI for destroying the old growth forest above Malibu or SGI's partner Mitsubishi for destroying the Amazon rain forest? If dialogue [shoju] rather than refutation [shakubuku] could help to eradicate intolerance, Nichiren would have employed dialogue rather than refutation. The 26 Articles of Nikko are a seeming parodox. In one article, Nikko teaches that one who claims Gosho are forged are evil and in another article he teaches that those who forge Gosho are parasites. If the 26 Articles itself is forged, there is no paradox. If they are true there is a paradox. However, it is a paradox easily resolved. One who criticizes false Gosho is upholding the Dharma while one who cites false Gosho is a parasite. It is equally true that one who criticizes authentic Gosho is evil and one who cites authentic Gosho is a disciple of Nichiren Daishonin. the Nichiren Gohonzon "works" better. 1). President Ikeda's picture is still prominantly displayed in members homes and everything centers around him. 2). Gongyo and Daimoku are so fast that even top senior leaders can not pronounce the words distinctly. 3). Zaimu campaigns are still being conducted with guidance that the more you give the more that will come back to you. 4). The Treasure of the Sangha (SGI) is stressed above the Treasures of the Law and the Buddha. Was this written before or after he forged the DaiGohonzon? One thing I have to give Nichiu, he sure was a funny guy despite his serious illness. Why such emphasis on personal guidance in the Soka Gakkai cult? One reason is SGI members do not have a valid Gohonzon. Therefore, they have no way to tap into the guidance and encouragement of the Original Buddha Shakyamuni, Nichiren Daishonin, and the Law. Another reason is to create uniformity in thinking and behavior. Still another reason is that the SGI needs to reinforce the SGI way since not ALL their teachings are found in the Lotus Sutra and Writings of Nichiren, let alone the authenticated writings. Also, it is the carrot for the unpaid senior leader bees to feel important [power] since they aren't paid one red cent for their hard work. "Needless to say, the explanation I wrote about Hongaku and Shigaku have nothing to do with the ideology of Hongaku of middle-old T'ien-T'ai, which teaches that we need not practice because everyone is already enlightened." Hongaku means original enlightenment, Shigaku means the attainment ofenlightenment. To explain the meaning, between Hongaku and Shigaku, there, are some parables. For one example, a man is in a dark room with furniture, but he can not see and make use of anything inside theroom because it is dark. However, when once he turns on the light, he is able to see the furniture clearly in the room. In this situation, the furniture was there from the beginning, however, he sees it only after he turns on the light. It is not that the furniture suddenly appeared, the furniture was always there. It was just that he could not see it... The fact that the furniture was there from the beginning stands for the "Hongaku." And turning on the light and being able to see the furniture stands for the "Shigaku." Another example, there was a blind man. He could see nothing. One day an excellent doctor came to see him and had an operation on his eyes. As a result, the doctor opened his eyes and he is then able to see the sun and the moon. As we know, the sun and the moon were originally there (Hongaku). But he saw them for the first time when his eyes were cured (Shigaku).Therefore, when one attains enlightenment (Shigaku), they never fail to attain the original enlightenment (Hongaku). And it is not until when one has Shigaku, that he becomes aware of Hongaku (Oh! Everything is originally in the enlightened state!!). So, until the time we have Shigaku, we should make use of our power of belief that this world is in reality the Buddha's Pure Land. Nichiren Daishonin said in his writings named "Junyoze, no koto": On Dreams and Waking Reality; after cleaning off the deluded thought and view, then you will see that everywhere in the dharma world is the, Pure Land of tranquil light, and that the body of your own is the Tathagata of original enlightenment (Hongaku) possessing the three bodies in-one." Note. The parables regarding "Hongaku and Shigaku' are from the Mahaparinirvana-Sutra (pp.522-523, Vol- 2) which Rev. Honda cited in his book along with "Junyoze no koto." Regarding my last letter about Hongaku and Shigaku Other schools of Nichiren say that the Jumonryu is using forgeries to support our view, and Rev. Honda would be rolling over in his grave" Does the word "forgery"indicate " Junyoze no koto' , this Gosho is one of Roku-nai Goshos, so it should be considered as a genuine Gosho. I think the attitude of discarding every Gosho that contradicts one's own opinion would prevent one from understanding properly Nichiren Buddhism. Moreover, I was surprised to hear the name of Rev. Honda. mentioned, because the answer note I wrote about Hongaku and Shigaku was what I studied from Rev. Honda's book named "Daizokyo Yogi" (a commentary on the essential point of the Buddhist Canon), which consists of thick eleven volumes, and Rev. Honda preaches about Hongaku and Shigaku in PP35-37 of its fourth volume, where Rev .Honda himself cites the very same part of "Junyoze no koto" that I translated and wrote about on another occassion. So that is of course no problem. Incidentally, I have obtained almost all books of Rev. Honda, and Studiedthem precisely before. So I want to say that people should not have a falsely fixed idea on the teachings of Jumonryu, the Bukkoku HokkeKai ortrue Buddhism. Needless to say, the explanation I wrote about Hongaku and Shigaku have nothing to do with the Ideology of Hongaku of middle-oldT'ien-T'al, which teaches that we need not practice because everyone isalready enlightened. Let s think more like Buddhist. Contending with each other over whether a cone is round or triangle is nonsense. If our one eye and another engaged in a controversy over their views, it would be ridiculous.or if someone seriously had a tug of war with his one hand and another, it would seem very strange. Buddhism is not to be a fool, Enlightenment is to understand consistently what seems a contradiction at a glance to us worldly beings. Buddhism teaches us that it is A at one time, but another time it teaches it is B. Both A and B are the true aspects of the reality, but People tend to think A and B are not compatible because of their habitual flat thinking, Buddhism expects us to grow up toward the third dimension. In other words, we are apt to be a 'Tanbankan' (a foolish trainee) who is carrying a board on his shoulder and can see only one side of the way, then falls into a ditch a last. So Buddhism suggests Tanbankans to put such a board down from our shoulder (this is the Shakubuku), but Tanbankans would not easily stop disputing with each other (they think such a disputing is Shakubuku, but it isn't). If we do not care about this point, Nichiren's Buddhism will be a supplier of endless disputing as if disputing is the only work for the Nichiren Buddhists. Hongaku Shigaku what is the difference? Some of the other Nichiren schools and scholars think -Junyoze no Koto" is a forgery... But teachers of Jumonryu (followers of Nichiju) do not. Rev. Honda used this Gosho to support his view not only in -Daizokyo yogi- but also even in -Hokekyo Kogi" ("Lectures on the Lotus Sutra") the copy of which stated he had in his last note. Also Rev, Honda put this Gosho into his "Seigoroku- (analects of sacred words). Moreover. another famous teacher of Jumonryu, Rev. Nisshi Nakagawa also put this Gosho into his "Seigoroku' (analects of sacred words). I think the reason why other's insists that this Gosho is a forgery is that it upsets their biased view on Nichiren's Buddhism. It is a matter of course that this Gosho, and all Goshos listed on the "Roku Nai" do not bother the correct view of Jumonryu at all. Sects who dispute this original list "Roku Nai" dated exatly after St. Nichirens death, either have dicarded goshos or have added goshos from or too this ORIGINAL LIST; one only need simple logic to see clear in this instance...When one goes back to Nichiren's teachingsas did our orthodox founder Nichiju Daishoshi one may accept Nichiren'steaching exactly as they are! I agree with them on the point that "Hongaku shiso- is wrong. But it is totally beside the mark to refute us with refuting "Hongaku shiso". Because the, term " Hongaku-itself never mean nor imply the "Hongaku shiso"- People misunderstand to take the term "Hongaku" immediately as "Hongaku shiso." This is the most critical and fundamental error in theirview, as I explained before, the term "Hongaku" only means the "Original Enlightenment." This, as everyone can see, very easily, is what is preached in the Honmon (Original Doctrine), especially in the Chapter 16 "Measure of life". On the other hand, in the Shakumon (Manifestation Doctrine) it preaches on the basis of "Shigaku" (Attainment of enlightenment). Therefore, needless to say, the subject of "Hongaku and Shigaki" is parallel to the subject of "Honmon and Shakumon." If I add a little more explanation here, in the Shakumon there is a matter of attaining" but in the Honmom there is no such a matter because Honmon is the view or world which is preached from the stand point of Original (Eternal). In other words, Shakumon is based on dualism and preaches distinction (Discrimination) between worldly beings and Buddha; Honmon is based on monism and preaches that when Buddhism only upholds dualism, it loses its life. Instead, after separating worldly beings and Buddha, the view links the Dharma Body (but this is merely an abstract one which is equivalent to a man in the dark or a blind man before the operation in the parables I wrote about on another occasion) only to the worldly beings and the other two bodies (Enjoyment Body and Response Body) to the Buddha, Then, one who has this view stays conceited thinking that it is the worldly beings that are the Original Buddha and Buddhas like Shakya, Taho are merely the Manifestation Buddha. In this way this view shuts the door to attaining buddhahood. Therefore, the subject of "Hongaku shiso" is a matter of misunderstanding regarding the doctrine of Buddha's three bodies. That is by no means the matter of 'Hongaku and Shigaku', One must not be confused to connect the two wrongly. "Like waking up to reality from dream where one saw various illusion; after cleaning off the deluded thought and view. Now you will see that everywhere in the dharma world is the Pure Land of tranquil light, and that the body of your own is the Tathagata of original enlightenment possessing the three bodies in one." Let us see the underlined part, it expresses the ultimate state of us which comes after cleaning off the deluded thought and view (practice). And what one should know here is that the "Tathagata of original enlightenment possessing the three bodies in one" is the very"Actual Buddha' (Ji-Butsu.) revealed in the Chapter 16 of the Hokekyo, That is by no means the Ideality (Abstraction) of Unmanifest Original Enlightenment (Hongaku no ritai) or Abstract Buddha (Ributsu). Accordingly, there was no room for argument in here from the first without peoples confusion and misunderstanding. If theyhave some more confusion in these regards, they should read carefully the writings of Nichiren Daishonin or teachers of Jumonryu, especially Nichiju Daishoshi's "Fuji- sho" instead of those commentaries written by the other sect's and, or, scholars. So they will surely find the break-through. Hongaku means Original Enlightenment. Shigaku means the attainment of enlightenment. To explain the relationship between Hongaku and Shigaku, there are some metaphors. For one example, a man is in a dark room with furniture, but he can not see and make use of anything inside the room because it is dark. However, when once he turns on the light, he gets to be able to see the furniture clearly in the room. In this situation, the furniture was there from the beginning, however, he sees it only after he turns on the light. It is not that the furniture suddenly appeared. The furniture was always there. It was just he could not see it. The fact that the furniture was there from the beginning stands for the Hongaku. And the fact that turning on the light and getting to be able to see the furniture stands for the Shigaku. Another example, there was a blind man. He could see nothing. One day in excellent doctor came to see him and had an operation on his eyes. As a result, the doctor opened his eyes and he gets to be able to see the sun and the moon. As we know, the sun and the moon were originally there (Hongaku). But he saw them for the first time when his eyes were cured (Shigaku). Shigaku that he becomes aware of Hongaku (Oh! Everything has been originally in the enlightened state!!). So, until the time we have Shigaku, we should make use of our power of belief that this world is in reality the Buddha's Pure Land. Nichiren Daishonin said in his writing named "Junyoze no koto", "Like waking up to reality from a dream where one saw various illusion; after cleaning off the deluded thought and view, then you will see that everywhere in the dharma world is the Pure Land of tranquil light, and that the body of your own is the Tathagata of original enlightenment (Hongaku) possessing the three bodies in one." Some say that "Junyoze no koto" is a 'forgery' ? However, this Gosho is one of Roku-nai Goshos. So it should be considered as a genuine Gosho. I think the attitude of discarding every Gosho that contradicts one's own opinion would prevent one from properly understanding Nichiren Buddhism. The note I wrote about Hongaku and Shigaku was from what I studied from Rev. Honda's book named "Daizokyo Yogi" (a commentary on the essential point of the Buddhist Canon), which consists of eleven thick volumes. Rev. Honda preaches about Hongaku and Shigaku in PP35-37 of the fourth volume, where he cites the very same part of 'Junyoze no koto' that I translated and wrote in the last answer note. So that is of course no problem. Incidentally, I have obtained almost all books of Rev. Honda and studied them precisely before. So I want to say that people should not have a false fixed idea of the teachings of Kempon Hokke or true Buddhism Needless to say, the explanation I wrote about Hongaku and Shigaku have nothing to do with the Ideology of Hongaku of medieval old T'ien T'ai, which teaches that we need not practice because everyone is already enlightened. As you know the parables regarding "Hongaku and Shigaku" I wrote before was from the Mahaparinirvana Sutra (pp.522-523 Vol,2) which Rev. Honda cited in his book along with the "Junyoze no koto". 1) Lamont and some of the other sect's scholars thinks "Junyoze no Koto' is a forgery. But teachers of Jumonryu (followers of Nichiju) do not. Rev. Honda used this Gosho to support his view not only in "Daizokyo yogi" but also even in "Hokekyo Kogi" ("Lectures on the Lotus Sutra") the copy of which Lamont stated he had in his last note. Also Rev. Honda put this Gosho into his "Seigoroku" (analects of sacred words). Moreover, another famous teacher of Jumonryu, Rev. Nisshi Nakagawa also put this Gosho into his "Seigoroku" (analects of sacred words). I think the reason why he insists that this Gosho is a forgery is that it vexes his view on Nichiren Buddhism. It is a matter of course that this Gosho does not hinder the correct view of the Jumonryu. 2) Lamont brings forward the so-called "Hongaku shiso" (ideology of Hongaku) and refutes it citing Rev. Honda"s words in "Hokekyo kogi," with which he believes is a refutation of my last note regarding "Hongaku and Shigaku'. Lamont hates Hongaku monism and thinks Hongaku monism is not the view of the Jumonryu (followers of Nichiju). I agree with him on the point that "Hongaku shiso" is wrong. But it is totally beside the point to refute us with refuting "Hongaku shiso". Because the term "Hongaku" itself never means nor implies "Hongaku shiso". He misunderstands to take the term "Hongaku" as meaning "Hongaku shiso". This is the most critical and fundamental error of his view. As I explained earlier, the term "Hongaku" only means "Original Enlightenment". This, as everyone can very easily see, is what is preached in the Honmom (Original Doctrine), especially in the Chapter 16 'Measure of life'. On the other hand, the Shakumon (Manifestation Doctrine) preaches on the basis of "Shigaku" (Attainment of Enlightenment). Therefore, needless to say the, subject of "Hongaku and Shigaku" is parallel to the subject of "Honmon and Shakumon". To add a little more explanation here, in the Shakumon there is a matter of "attaining" but in the Honmom there is no such matter because Honmon is the view or world which is preached from the stand point of Original (Eternal) Buddha, In other words. Shakamon is based on dualism and preaches distinction (discrimination) between worldly beings and Buddha; Honmom is based on monism and preaches the ultimate equality of worldly beings and Buddha. If Buddhism does not preach monism and only upholds dualism, it loses its life. There are in the world many other religions like Judaism, Christianity and lslam which are based on dualism and the teachings of absolute discrimination between divinity and humanity. And they are wrong in their object of worship and doctrine of ultimate dualism. In other words, it is common knowledge that Nichiren Buddhism is a religion of monism, because the Lotus Sutra (Hokekyo) is the teaching or One Vehicle (Ichi-jo). More importantly, it does not mean mechanical monism but means monism that can only be attained through faith and whole-hearted devotion (Namu). In this sense, chanting Namu Myoho Renge Kyo (Daimoku) wholeheartedly is essential for this monism. It is a bridge between dualism and monism and the theory of Sokushin-Jobutsu (attaining buddhahood in this very body). So if one remains attached to the view that the dualism is the ultimate substance of the doctrine of Nichiren Buddhism, where can we find Jobutsu (attaining buddhahood)? With such a wrong view, Buddha and we would remain parallel lines forever. Ever-abiding Pure Land apart from the Three Calamities and outside of the Four Kalpas. The Buddha has not already been extinguished in the past and will not be born in the future. Those who are converted are of the same essence. This is identical to the complete possession of the three thousand (realms) of one's own mind, the three types of world" (translated by Lamont). How does Lamont read this essential part of this Gosho? Does he reject the "Kanjin Honzon Sho" as a forgery, too? "Hongaku Shiso", on the other hand, is a distorted view derived from the erroneous understanding of the doctrine of the Buddha's three bodies. This view does not take the three bodies as a unity. Instead, it separates worldly beings and the Buddha. The view merely links the Dharma Body (but this is merely an abstract one which is equivalent to a man in the dark or a blind man before the operation in the parables I cited above in the first note) to worldly beings and the other two bodies (Enjoyment Body and Response Body) to the Buddha. "Like waking up to reality from a dream where one saw various illusions; after deluded thoughts and views, then you will see that everywhere is the Pure Land of tranquil light and that the body of your own is the Tathagata of original enlightenment possessing the three bodies in one." This expresses our ultimate state of life after cleaning off deluded thoughts and views through practice. The "Tathagata of original enlightenment possessing the three bodies in one" is the very "Actual Buddha" (Ji Butsu) revealed in Chapter 16 of the Lotus Sutra. It is not Ideality (Abstraction) of Unmanifest Original Enlightenment (Hongaku no ritai) or the Abstract Buddha (Ributsu). Accordingly, without Lamont's confusion and misunderstanding, there is no argument. If he has any more confusion in this regard, he should read carefully the writings of Nichiren Daishonin and the teachers of the Jumonryu, especially Nichiju Daishoshi's "Fuju-sho" instead of those commentaries written by the other sect's's scholars. Then he will surely experience a break-through. "Also, I would appreciate it if people helped maintain standards of proper spelling and grammar. I see no reason to write "ov" when "of" is meant. Please remember that there are people reading and posting here who may be younger and/or for whom English is not a native language. These clever or alternate ways of writing and spelling can be confusing, off putting, and set a bad precedent. Thanks for your help." Who do we thank when we are cured of a serious ailment? We thank the physician, not he medicine. In like manner, when we chant the Daimoku to the Gohonzon, we thank the Excellent Physician, Shakyamuni Buddha of the Juryo Chapter of the Lotus Sutra who prescribed the medicine and his assistant, Nichiren Daishonin who dispensed the medicine. We don't thank the Daimoku, the good excellent medicine. Question (20): You have not responded to the serious question raise earlier regarding the Buddha residing in our minds, have you? "'Sad' in the Saddharmapundarika (Lotus Sutra) means 'perfection'." Bodhisattva Nagarjuna says in his great Wisdom Discourse (Daichido-ron) that "sad" means "six" while the Annotations on the Four Mahayana Treatises (Wu-i wu-te ta-cheng ssu-lun hsuan-i chi) by Hui-chun of T'ang China means "perfection" in India. The Annotations on the Meaning of the Lotus Sutra (Fa-hua i-su) by Chi-tsang states that "sad" is translated as "perfection"; while Grand Master T'ien-t'ai states in his Profound Meaning of the Lotus Sutra (Fa-hua hsuan-i) that "sad" is a Sanskrit term which is translated as "miao" (wonderful) in China. I fear that I may debase these passages if I try to interpret them, but I dare do so in order to answer your question. The gist of these passages is that Sakyamuni Buddha's merit of practicing the bodhisattva way leading to Buddhahood, as well as that of preaching and saving all living beings since His attainment of Buddhahood are altogether contained in the five words of myo, ho, ren, ge, and kyo (Lotus Sutra of the Wonderful Dharma) and that consequently, when we uphold the five words, the merits which He accumulated before and after His attainment of Buddhahood are naturally transferred to us. Thus, it is stated in the Lotus Sutra (chapter four, "Understanding by Faith) that four great sravaka such as Kasyapa rejoiced in their understanding of the teaching of the Lotus Sutra enabling sravaka to attain Buddhahood, and reported to the Buddha that they had been given invaluable jewels without asking for them. This represents the attainment of Buddhahood by the sravaka realm contained in our minds. Not only the sravaka but also Sakyamuni Buddha is within us. For we encounter such a statement like this in the second chapter of the Lotus Sutra: "It was My (Sakyamuni's) original vow to let all beings become like Myself. My vow has now been fulfilled. I have helped them all enter the way of the Buddha." Does this not mean, that Sakyamuni Buddha, who has attained Perfect Enlightenment, is our flesh and blood, and all the merits He has accumulated before and after attaining Buddhahood are our bones? Moreover, the eleventh chapter of the Lotus Sutra "Appearance of the Stupa of Treasures", states: "Those who uphold the teaching of this sutra are deemed to serve Me, Sakyamuni, and Taho Buddha. They also serve Buddhas in manifestation here who adorn and glorify their respective worlds." This means that Sakyamuni Buddha, Taho Buddha, and all the Buddhas in manifestation are in our minds, and that we, upholders of the Lotus Sutra, will follow their steps and inherit all the merits of those Buddhas. This is the meaning of the passage in the tenth chapter of the Lotus Sutra, "The Teacher of the Dharma", which reads: "Those who hear of this Lotus Sutra even for a moment, will instantly attain Perfect Enlightenment." A passage in the sixteenth chapter of the Lotus Sutra, "Duration of the Life of the Buddha", contends: "It has been many hundreds of thousands of billions of nayuta of kalpa (an incalculably long period of time) since I have attained Buddhahood." It means that Sakyamuni buddha, within our minds, is an ancient Buddha without beginning, manifesting Himself in three bodies, and attained buddhahood in the eternal past described as 500 dust-particle kalpa ago. In the same chapter, another passage reads: "The duration of My life, which I obtained through the practice of the way of bodhisattvas, has not yet expired. It is twice as long as the length of time stated above: 500 dust-particle kalpa." This reveals the bodhisattva-realm within out minds. The bodhisattvas described in the fifteenth chapter, "Appearance of Bodhisattvas from Underground", who have sprung out of the great earth, as numerous as the number of dust-particles of 1,000 worlds, are followers of the Original Buddha Sakyamuni who resides within our minds. They are like T'ai-kung-wang and Duke of Chou, retainers of King Wu of the Chou dynasty in ancient China, who at the same time served the King's young son, King Ch'eng; or Takeuchi-no Sukune of ancient Japan, a leading minister to Empress Jingu, who concurrently served her son, Prince Nintoku. Just like them Bodhisattvas Jogyo, Muhengyo, Jogyo and Anryugyo, the four leaders of those bodhisattvas sprung up from the earth, are simultaneously followers of the Original Buddha and Bodhisattvas who reside in the minds of us, ordinary people. Therefore, Grand Master Miao-le has declared in his Annotation on the Mo-ho chih-kuan (Mo-ho chih-kuan fu-hsing-chuan hung-chueh): "You should know that both our bodies and the land on which we live are a part of the 3,000 modes of existence which exist in our minds. Consequently, upon our attainment of Buddhahood, we are in complete agreement with the truth of '3,000 existences contained in one thought', and our single body and single thought permeate through all the worlds in the universe." "In your letter you mentioned the great honor you had to give lecture at the family temple of a court noble. But to me it seems very strange for you to say so. You are a priest who renounced the secular world and, what is more, you embrace the most precious teaching in the world. Even if you should meet a Bodhisattva of the highest rank, why should you think it anything special? Much lessshould you stand in awe of even Bonten or Taishaku. They are the servants of our father, Shakyamuni Buddha, who have been sent byhim to govern his domain and support the priests who embrace the true law. Bishamon and the other heavenly kings rule over the four quarters as guards appointed by Bonten and Taishaku. The rulers of the four continents are all retainers of the four heavenly kings. But the ruler of this little island country of Japan would not evenqualify as a retainer of the Wheel Rolling Kings who reign over the four continents. He is nothing but an island chieftain. By calling the retainer of this chieftain "his excellency," exulting over "his gracious invitation" and, what is more, by speaking of the "great honor" you had, are you not in essence expressing your low opinion of me, Nichiren? On the whole it seems that when my disciples go to the capitol city, Kyoto, they first heed my warnings but later become crazed by the devil of the sixth heaven. That is exactly what happened to Sho'ubo. Don't become like him and incur heaven's wrath." Fawning and flattery is the World of Animality. There is more fawning and flattery in the SGI from top to bottom than there is in the federal government or in any major corporation. It is particularly offensive the way Daisaku Ikeda fawns over the intellectuals and men of power in this Latter Age of ours. He takes fawning and flattery to new heights, failing to teach them the Lotus Sutra, Nirvana Sutra, and the correct and sublime teachings of Nichiren Daishonin for fear of alienating these insignificant and dastardly men. "...It would be no small matter if those who slander me were to incur no punishment from Heaven in their present body. So those deities [who fail to punish them] will not only be destroyed throughout past, present and future, but even now are surely being called upon to account to the Buddha for their actions. And when that happens, it will be no fault of Nichiren's! Rather, by siding with those priests who slander the Law, they are summoning disaster upon themselves." MWV 5, pp 203.... Observe Mark! "It is a world where laity is always second or third class--where Nikken is the biggest dog of 'em all and you can never be more than a toy poodle." Nichiren Daishonin pointed his disciples to The Buddha Shakyamuni of the Juryo Chapter of the Lotus Sutra and to the Law, to avoid any confusion as to whom and what we should follow. Who transferred Namu Myoho renge kyo to the four great bodhisattvas? Who is the original teacher for all people? Who is the father, teacher and sovereign of all sentient beings? Nichiren Shoshu and SGI members too forget Lord Buddha Shakyamuni. Not clear? Only the Fuji schools and their adherents could be so blind as to misidentify the Eternal Buddha. All Buddhas are emanations of Shakyamuni Buddha. It is SGI and Nichiren Shoshu SGI who do not practice according to the preachings. All these beings, even the greater bodhisattvas such as Anryugyo, Jogyo, Jyogyo, Nichiju, Nikko, and the other Bodhisattvas of the Earth, Tientai and Nagarjuna are disciples of Shakyamun Buddha of the Juryo chapter. However, SGI and NST priests and members, are not his dsiciples [because they have been misled by evil teachers such as Daisaku Ikeda and Nichikan]. Long before any other, Shakyamuni Buddha attained enlightenment and then taught all beings the sum of his Supreme Enlightenment, Myoho renge kyo. Who left us the medicine? Nichiren Daishonin points out that Shakyamuni declared, "I am the foremost throughout the threefold world". Ikeda declares Nichiren foremost but really means himself. Nikken declares himself foremost. The ignorant among the SGI members declare themselves foremost. Are you counted among the ignorant? Was Nichiren? Am I be counted among them? Think about this carefully. There are countless examples in the SGI and Nichiren Shoshu of their members receiving punishment. Nichiu developed white leprosy. Nikkyo burned up in a conflagration while his entrails remained. 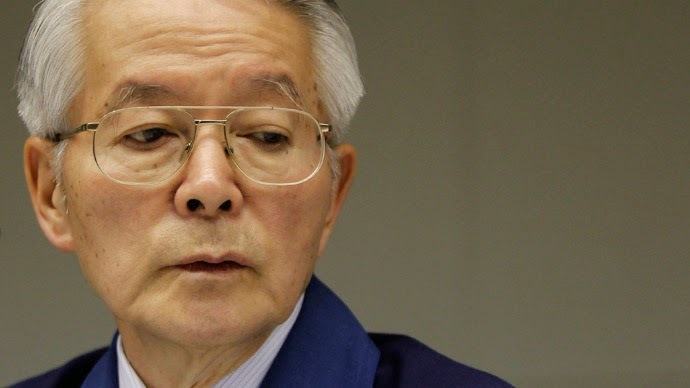 President Ikeda's firstborn son died of a bleeding ulcer. In this day and age that is nearly unheard of! Mr. Kasahara's firstborn son died from a massive brain injury. George Williams children are sociopaths. A top SGI senior leader was killed in the early eighties when a snow plow ran over his car. Another, in Detroit, died when a heavy metal stage hook took off the top of his skull. A men's division bagpiper was killed and mutilated by the Manson family on the way back from bagpipe practice. NST members Bill Vogel and Brad Nixon are other examples. Nichiren, Nikko, Nissho, Nichiju, Nikkyo and Rev. Kubota, for example, are monks by virtue of Lord Shakyamuni. Those who abandon Shakyamuni can not even be considered monks. They are no better than beasts. We should first of all fashion and pay respect to the Gohonzon, the image of Lord Shakyamuni Buddha of the Juryo Chapter of the Lotus Sutra. Certainly, we shouldn't fashion and pay respect to 200 square foot photographs of Daisaku Ikeda. We owe our greatest debt to Shakyamuni Buddha [as did Nichiren]. As the leader of the Bodhisattvas of the Earth, Nichiren Daishonin (Jogyo) knew perfectly well that Shakyamuni is the Master of Teachings and the person to whom we owe our deepest gratitude and allegiance. If we are Bodhisattvas of the Earth, we should follow the example of our leader Nichiren Daishonin, not the poor example of Ikeda, Nichikan, or your joint territory chief. "Japan and so on to the whole of Jambudvipa should uniformly take the Master of Teachings Lord Shakya of the Original Doctrine as the Object of Worship". (Hoon Sho). Perfectly clear. If you wish to practice the Daishonin's teachings rather than some inferior teaching, you should take Lord Shakya of the Original Doctrine as your Object of worship and chant Namu myoho renge kyo. The Daishonin dedicated his life to Shakyamuni Buddha. Why do you dedicate your lives to Nichinyo, Nikken, Nichikan, or Ikeda? We owe our most sincere gratitude to Shakyamuni Buddha. Nichiren received the royal command of Lord Shakyamuni, not the command of the commoners Makiguchi, Toda, Nikken or Ikeda. Shayamuni is our leader and teacher. The Lotus Sutra is the intent of Shakyamuni Buddha. When you slander Shakyamuni Buddha, you are slandering the written words of the Lotus Sutra, the Gohonzon, and Namu Myoho renge kyo. This is why the people I mentioned above suffered divine punishment, not for any worldly misdeeds. The worst transgressors are Ikeda, Nikken, and their followers. Shakyamuni Buddha posseses all Three Bodies, the Manifest Body, the Reward Body and the Dharma body (Namu Myoho renge kyo.). Therefore, when you slander Shakyamuni Buddha, you slander Namu Myoho renge kyo. Certainly, neither Ikeda nor Nichinyo is the foremost sage, let alone your Zone Chief, General Director, or local priest. The doctrine of universal Buddha-nature that SGI calls its own derives from Shakyamuni Buddha. Believe and understand this and you [SGI] may be spared a fate worse than Honen's. Of what need do we have for Nikken, Nichinyo, or Ikeda? How dare they teach that we must rely on them, rather than Shakyamuni Buddha. For this reason, we too put our faith in Lord Shakya of the Original Doctrine. When you alter his Law or teach the Law of another, you are injuring the Buddha, your father, causing him to bleed.. You are committing one of the Cardinal Sins of Buddhism. You are also breaking the unity of the Buddha's Sangha, another one of the Cardinal Sins. Exactly as the pitiful SGI and Nichiren Shoshu. That includes even the lowest beings, those SGI and Nichiren Shohu members who benefit from their father's Law yet deny and denounce their father. Denying Shakyamuni Buddha his rightful place and failing to put their faith in Lord Shakya of the Original Doctrine, SGI and Nichiren Shoshu members remain deluded, unable to distinguish black from white. Shakyamuni Buddha entrusted us with the five characters of the Daimoku. "Were it not for Shakyamuni, the lord of teachings, how could such blessings as these be bestowed?" It is thanks to Shakyamuni Buddha that we enjoy the boundless benefit of the Law. He and his messenger Nichiren are true teachers. Those who appropriate the lofty position of Shakyamuni, be they priest or layman, are not even worthy of a nod, let alone a monetary donation. Don't waste your time with lesser spiritual advisers and "teachers". Please return to the source and abandon those SGI and NST ingrates. This is why Nichiren Daishonin declared that he never founded any sect. He deferred to his teacher, Shakyamuni Buddha as would all men of humility. But not Ikeda, Nichikan, Nichiu, or Nikken. These are conceited men, egoists of the highest magnitude. Don't deceive yourselves that you will become happy revering them or worshiping their Gohonzon. The SGI and the Nichiren Shoshu throw out the twenty-eight chapter Hokke by denying the vital principles contained therein, especially the most vital of the vital principles, that Shakyamuni Buddha is the Original Eternal Buddha. "The various other sects were founded by bodhisattvas or teachers in the period after the Buddha had entered nirvana....."
Nichiren Shoshu, SGI, Shingon, Zen, Ritsu, Pure Land, Tibetian, etc. ".....Should we now turn our backs upon the Buddha's decree and follow the sects established by the bodhisattvas and teachers?" and suffer a fate worse than Honen? You would be wise to ignore the words of Nichiu, Nichikan, Nikken, Toda, Makiguchi and Ikeda and would be wise to take to heart the words of the Daishonin. "The messenger of the Lord Buddha Shakyamuni has twice been paraded through the street." (MW vol 6, A Father Takes Faith, pg 242). This is self explanatory. Shakyamuni is the most filial of the Buddhas. Shakyamuni Buddha alone fulfills the three functions of Sovereign,Teacher, and Parent. Shakyamuni Buddha originally became enlightened to Namu Myoho renge kyo in the infinite past. "In this passage, Shakyamuni Buddha explains that he is entrusting to the Bodhisattvas of the Earth, his original disciples, the five characters of Myoho renge Kyo which is the essence of the Lotus Sutra. Shakyamuni, who attained enlightenment countless Kalpas in the past, says elsewhere, 'By now the original vows that I made have already been fulfilled. I have converted all living beings and caused them to enter the Buddha way'(ibid pg 72). This is absolutely clear. There is no other way to interpret correctly this passage or the other absolutely clear passages cited above. It is as the Lotus Sutra and Nichiren describe, "Just as the Buddha is the king of all Dharmas, so, too, is this Sutra the king of all Sutras." Even if one were to preach some other sutra in the future (for example the Taisekaji preachings that Nichiren Daishonin, rather than Shakyamuni Buddha, is the Original Eternal Buddha), it could never happen that the teachings in the Lotus Sutra and Nichiren may be superceded.